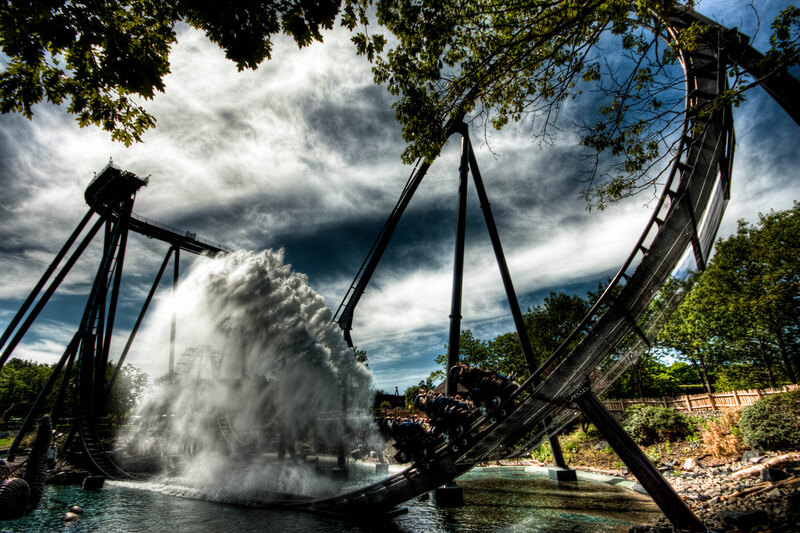 Nemesis at Alton Towers in the UK. 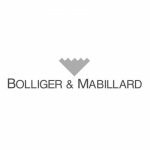 Bolliger & Mabillard (B&M) was started in 1988 by ex-Giovanola (the manufacturing company who supplied rides to Intamin) employees Walter Bolliger and Claude Mabillard. 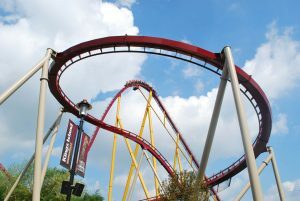 B&M track is noticeable for it’s large square spine (known as “box section”) and two rails on either side, attached to the track by the inside as to allow for the coasters to run with their wheels on the outer parts of the rail (necessary for a smoother ride). 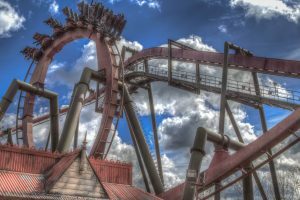 Some of B&M’s coasters tend to have a short “pre-drop” after the lift hill unlike other coasters. 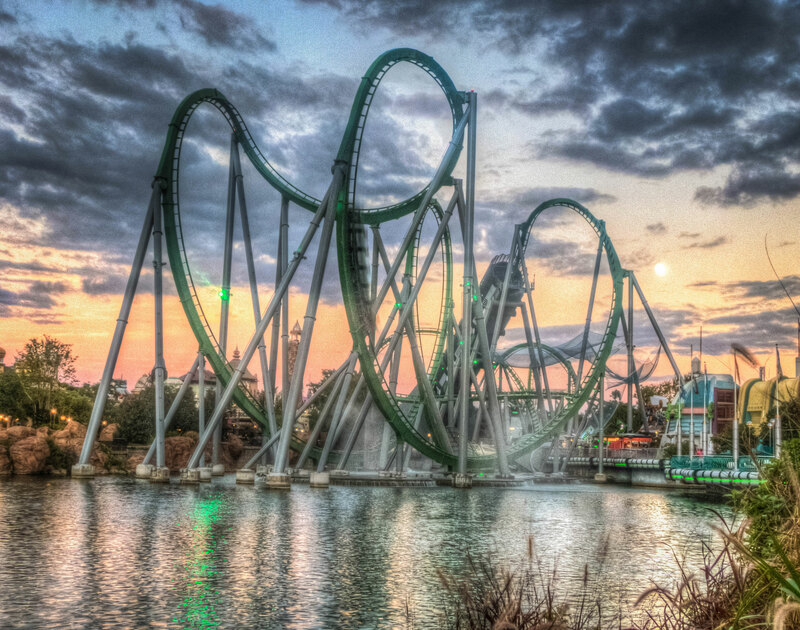 B&M have built over 100 roller coasters; all of which are still operating, although seven have been relocated. 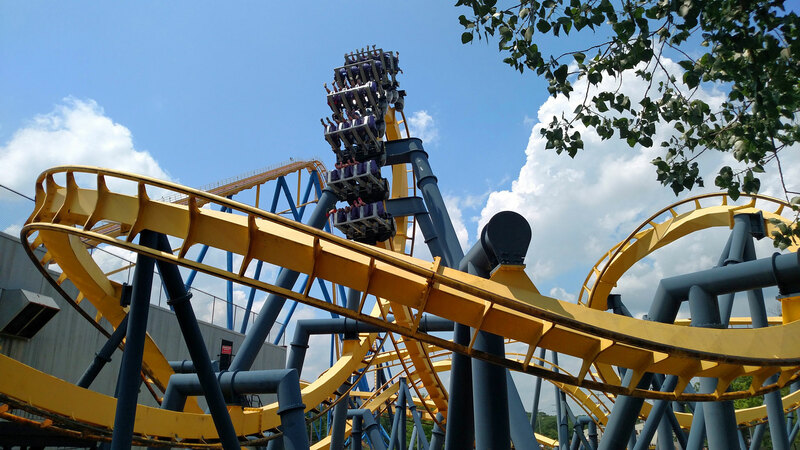 Iron Wolf at Six Flags Great America in Illinois, USA. 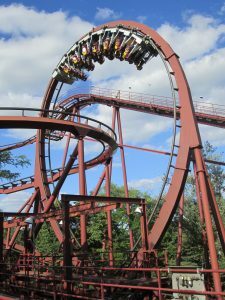 Bolliger & Mabillard’s first roller coaster, Iron Wolf, was built at Six Flag Great America in 1990. 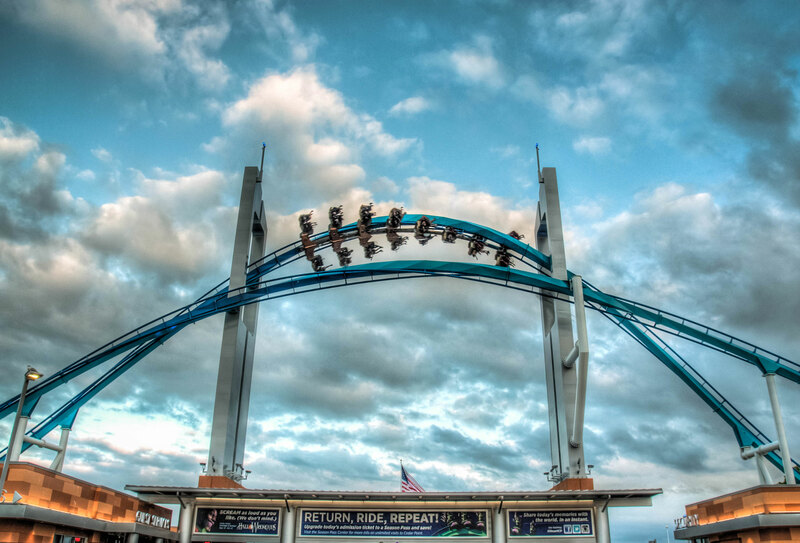 It was a Standup Coaster, which featured two inversions with a twisted and compact layout. 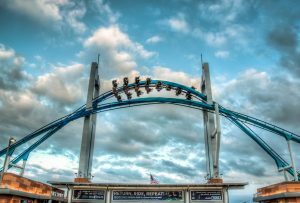 In 2012 the coaster was relocated to Six Flags America in Maryland and renamed Apocalypse. 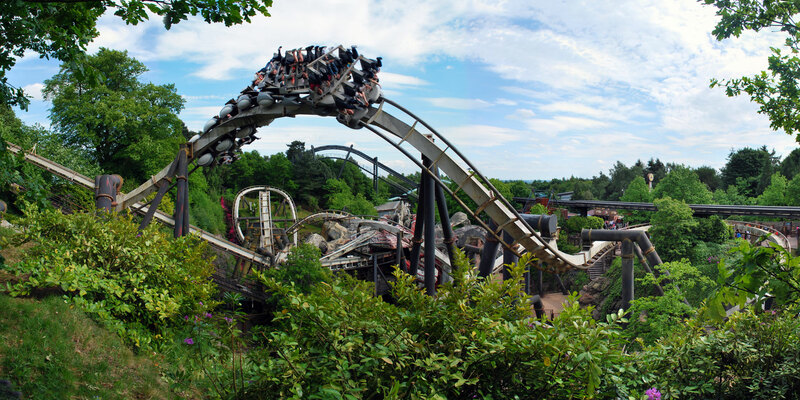 Oblivion at Alton Towers in the UK. 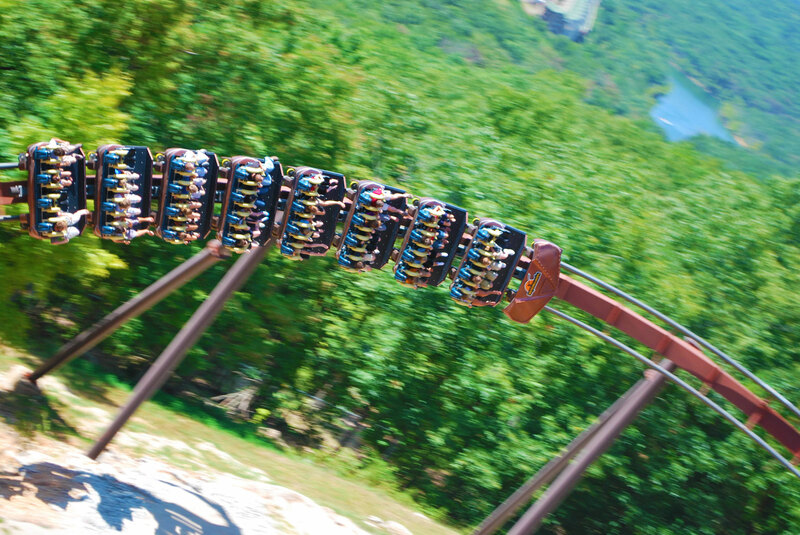 Otherwise known as a “Dive Machine”, Dive Coasters features a vertical drop. 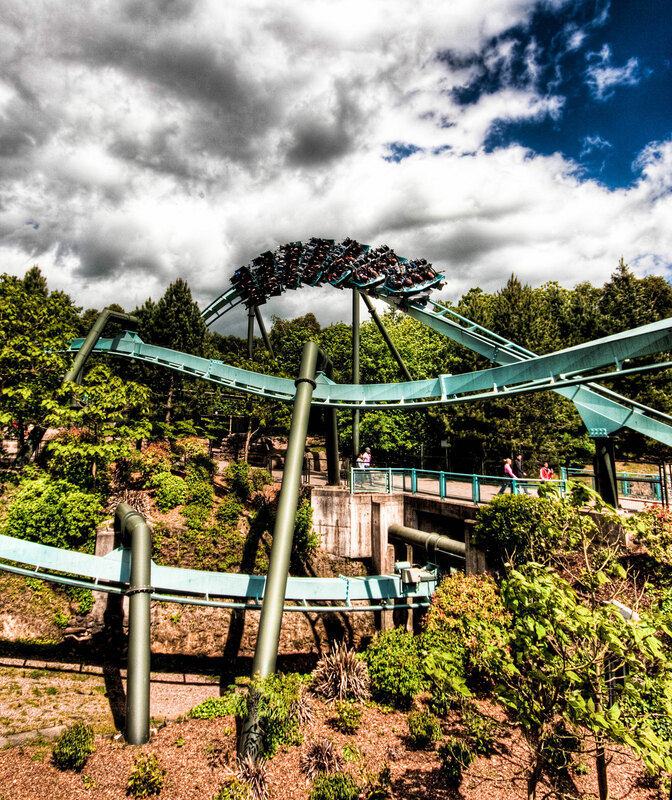 The first of its kind was Oblivion at Alton Towers which opened in 1998. 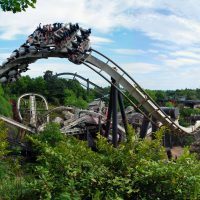 Oblivion’s drop is 87° whereas the newer Dive Coasters built in the early-2000’s have 90° drops. The trains can be held at the top of the drop so riders have a brief moment to admire the view. The trains are wider than normal trains so the track is larger to accommodate them. 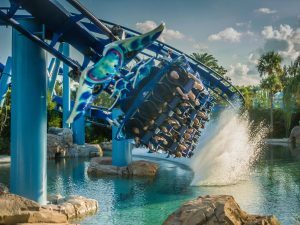 Most Dive Coaster trains are now floorless, although they are not classified as such, and some feature splashdowns where water sprays up behind the trains as they pass over water. 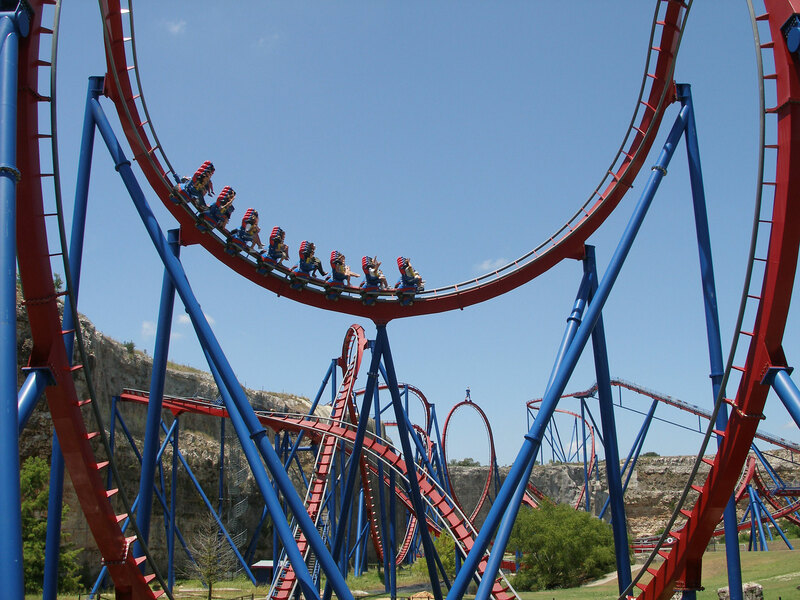 Superman Krypton Coaster at Six Flags Fiesta Texas in the USA. 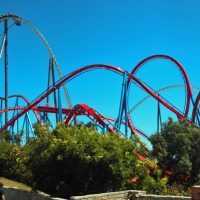 B&M invented the Floorless Coaster and opened their first one, Bizarro at Six Flags Great Adventure, in April 1999. As the name suggests, the train has no floor. 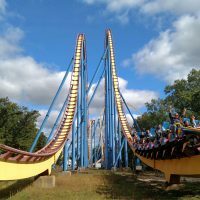 Riders sit on a seat that is similar to the B&M Inverted Coaster type but is fixed to a central spine at the bottom of the train. The station has a retractable floor so riders can get on and off the train with ease. 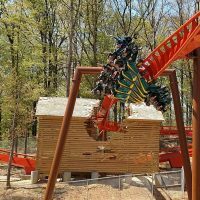 There are 14 B&M Floorless Coasters in operation (in 2016), one of which was refurbished from a B&M Standup coaster – Rougarou at Cedar Point, USA. Manta at SeaWorld Orlando in Florida, USA. 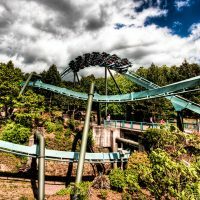 In 2002, the first B&M Flying Coaster, Air, opened at Alton Towers, UK. Riders sit in specially designed seats that tip riders backwards 90° so they are facing the floor in a “flying Superman position”. The seats have large, comfortable restraints that secure riders legs and body. These coasters tend to have swooping drops and helices to create the illusion of flight. 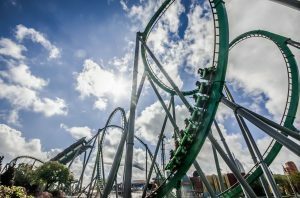 There are less than a dozen B&M Flying coasters in operation, half of which can be found in the USA. Diamondback at Kings Island in Ohio, USA. 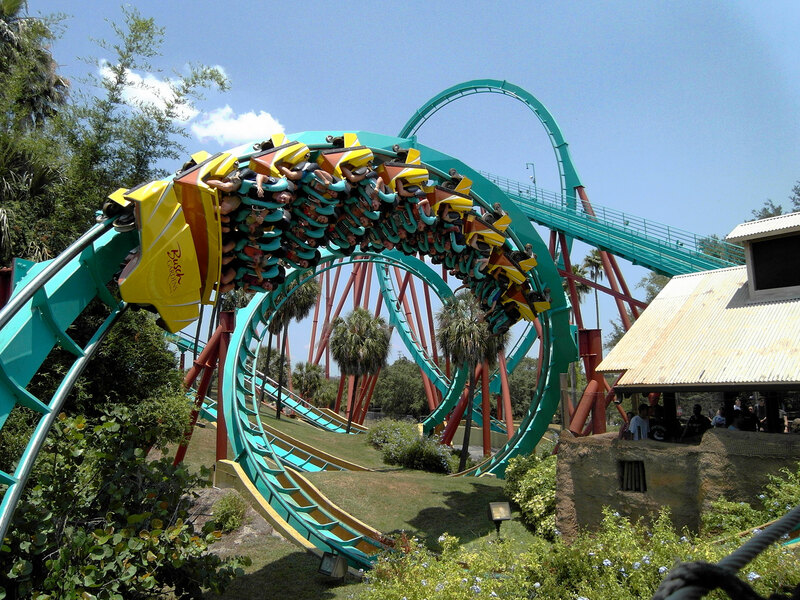 A B&M Hyper Coaster is a roller coaster that is over 200 feet (60.96m) tall. 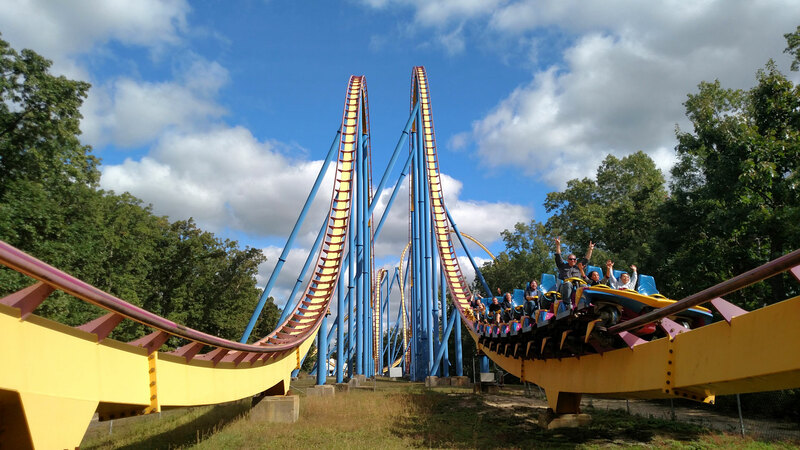 They are Sitting Coasters without inversions that feature big drops and airtime hills. The trains have “clam shell” lap bar style restraints that pin the rider in around his/her waist. 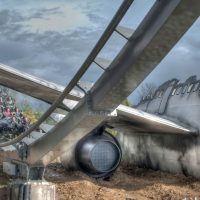 Some newer Hyper Coaster trains have a staggered seating arrangement so every rider is exposed to the rush of air down the drops. 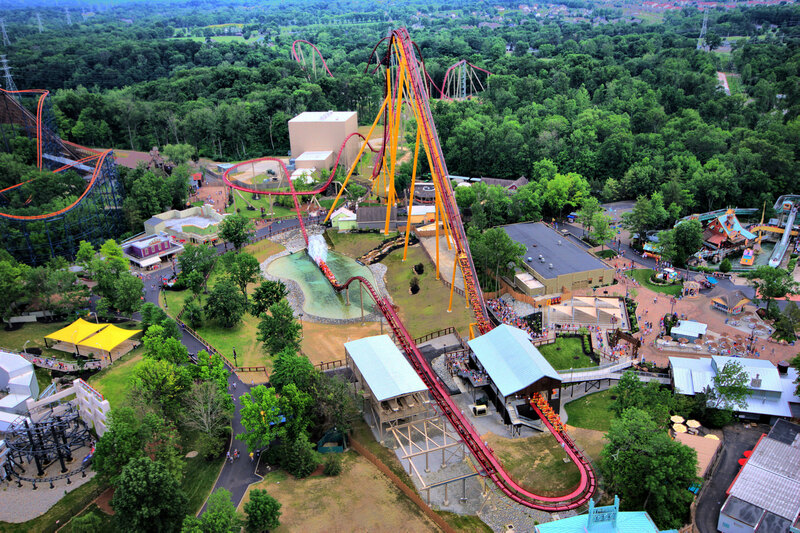 More than a dozen B&M Hyper Coasters have been built since the first one, Apollo’s Chariot at Busch Gardens Williamsburg, USA, debuted in 1999. Nemesis Inferno at Thorpe Park in the UK. 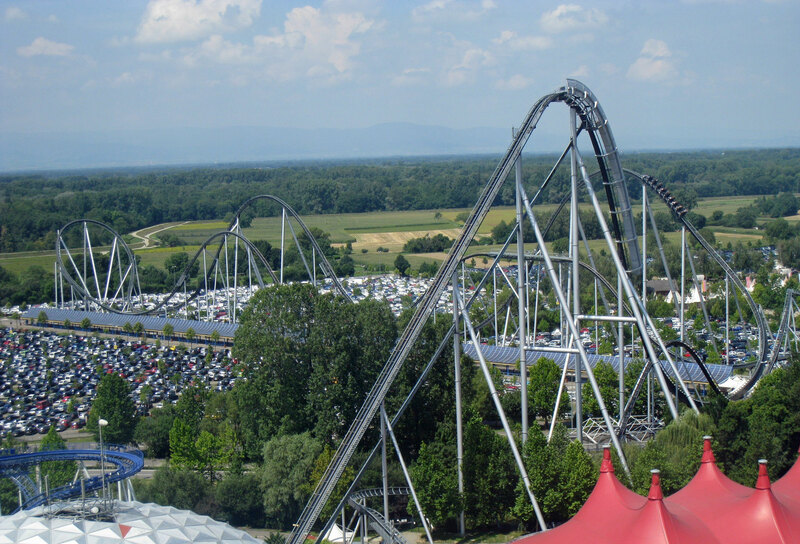 Bolliger & Mabillard revolutionised intense coaster thrills when they created their Inverted Coaster model in 1992. The trains are suspended below the track and are floorless so riders’ legs are dangling. 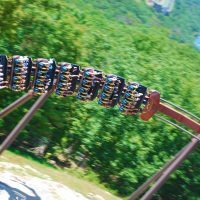 There are over 30 B&M Inverted Coasters in the world and the vast majority were built in the mid-90s when they were all the rage. 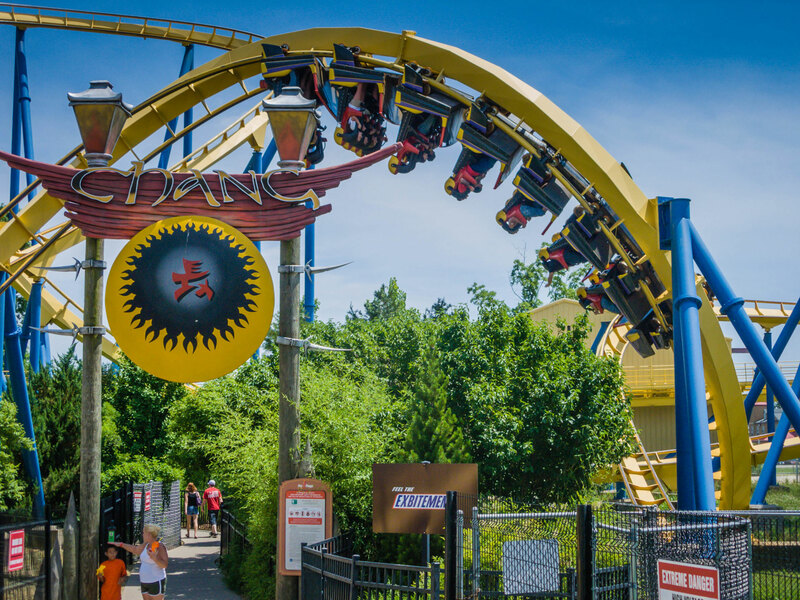 Inverted Coasters always feature various inversions, including some unique to this ride type. 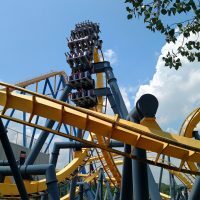 Although most B&M Inverted Coasters are custom, there is a standard model called “Batman” named after the first one of its kind at Six Flags Great America, USA. 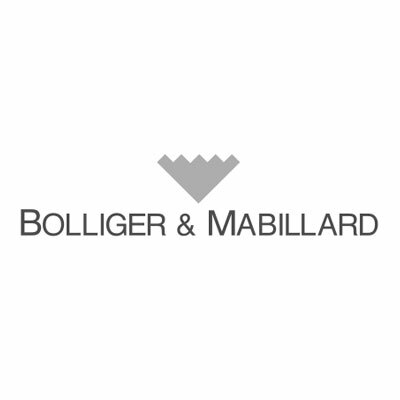 Bolliger & Mabillard do not produce Launch Coasters as a rule as they are not part of their portfolio. They produced a one off launched coaster in 1999 – The Incredible Hulk at Islands of Adventure in Florida, USA. The train is launched 0 to 40 mph (64 km/h) in 2 seconds out of the station using a tire propulsion system. B&M officially class this coaster as a Sitting Coaster. 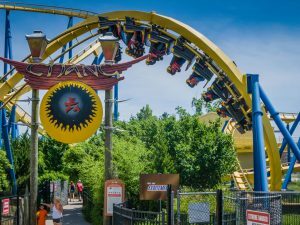 In 2015 B&M produced their second Launch Coaster, however this time it was a Wing Coaster model – Thunderbird at Holiday World in Indiana, USA. The train is launched 0 to 60 mph (97 km/h) in 3.5 seconds using an LSM propulsion system. Kumba at Busch Gardens Tampa in Florida, USA. 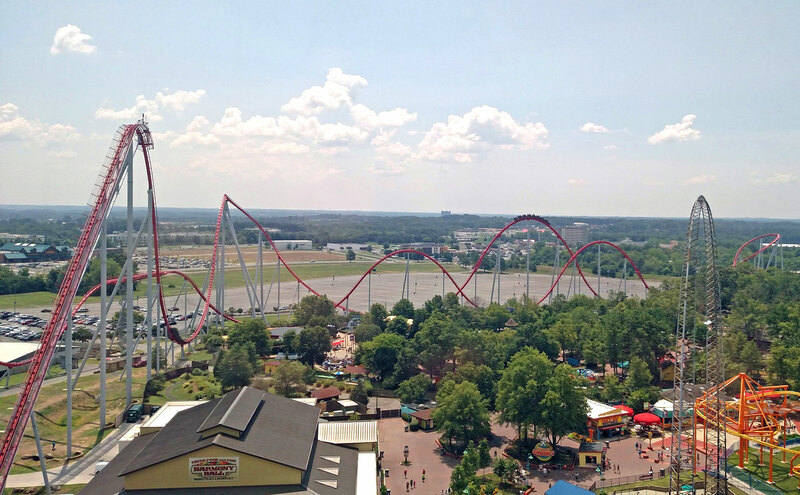 A Bolliger & Mabillard Sitting Coaster is a B&M roller coaster under 200 feet (61 m) tall. The Sitting Coaster model features many inversions and is known for being quite forceful. 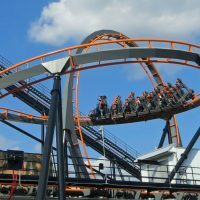 B&M makes two similar coaster models, floorless and stand-up coasters (see above and below), but what differentiates this type from those is that passengers sit down and have a floor under their feet. 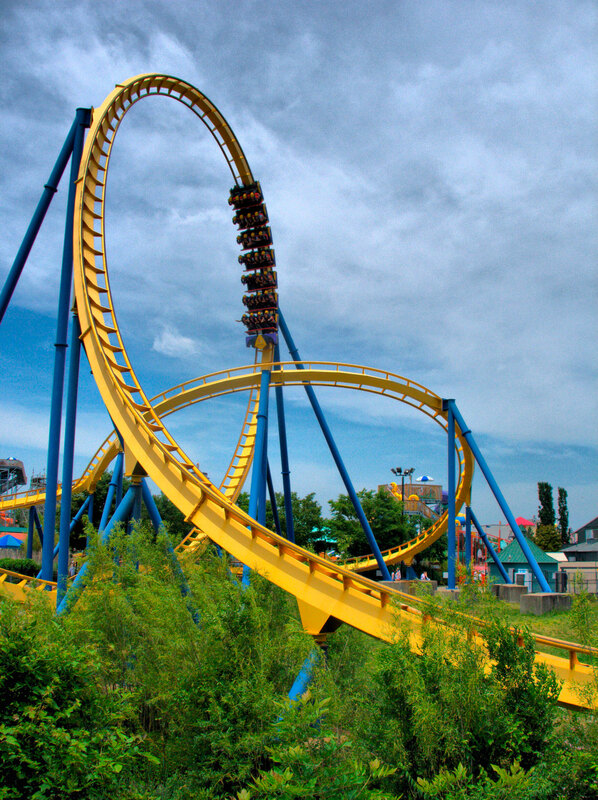 Chang at Six Flags Kentucky Kingdom in the USA. 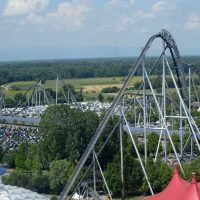 Bolliger & Mabillard were already familiar with the Standup Coaster model because they created several whilst working for Giovanola. 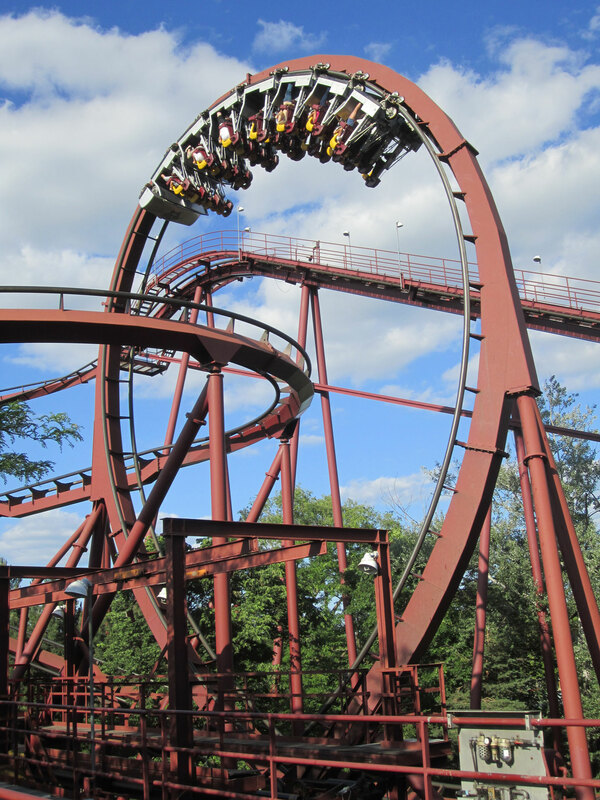 In 1990 they produced their own version – Iron Wolf at Six Flags Great America (the coaster features in the Richie Rich film and has since been relocated to Six Flags America as Apocalypse!). Riders stand throughout by perching atop a small bicycle type seat and are held in by over-the-shoulder restraints. 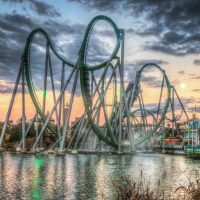 Only a half dozen of these coasters are in operation and new ones look highly unlikely as the latest was built in 1999. 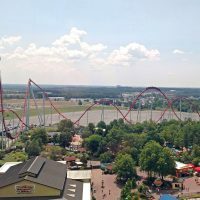 Bolliger & Mabillard’s latest coaster design is the Wing Coaster (sometimes known as a “Wing Rider”). 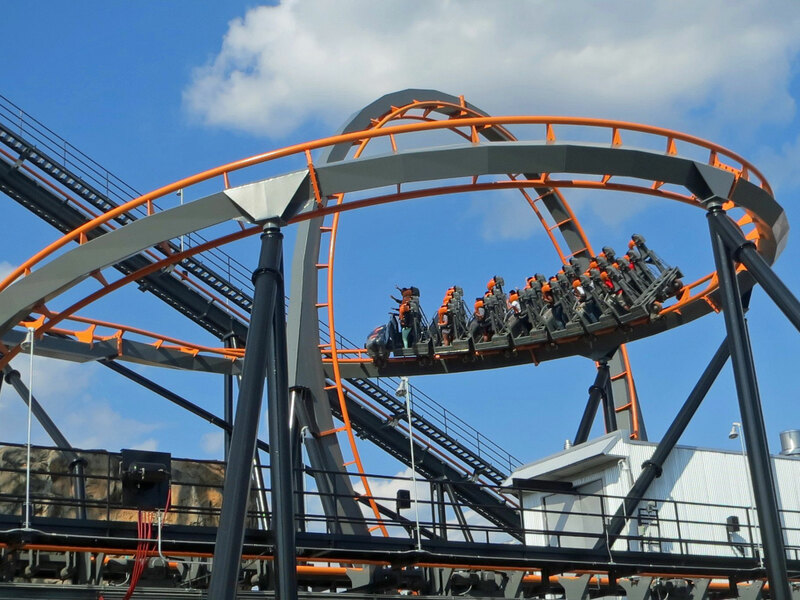 Instead of sitting above or below the track, the riders sit beside the track on “wings”. 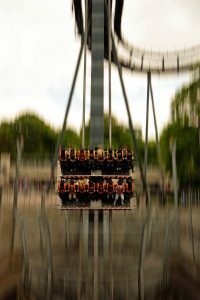 This creates a very exposed ride experience and adds intensity when passing close to the ground or scenery. 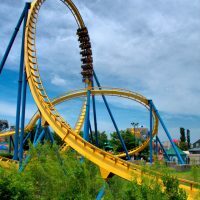 The first B&M Wing Coaster was Raptor which opened at Gardaland, Italy, in 2011. 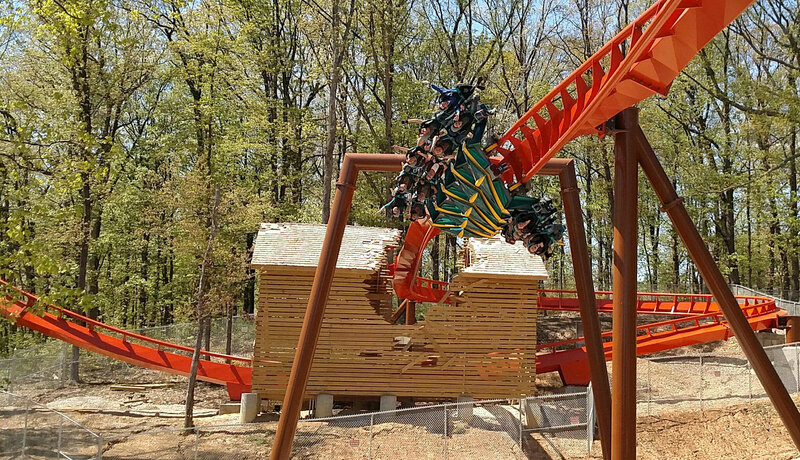 In 2015 they produced their first launched Wing Coaster – Thunderbird at Holiday World, USA. 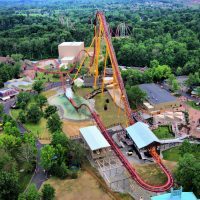 Track for the American coasters are constructed at the Clermont Steel Fabricators plant in Southern Ohio, USA, and track for European rides are constructed in Switzerland by G-Tec, formerly Giovanola.